A KC non-profit is trying to intervene in kids' lives before it's too late. KANSAS CITY, Mo. — A KC non-profit is trying to intervene in kids' lives before it's too late. 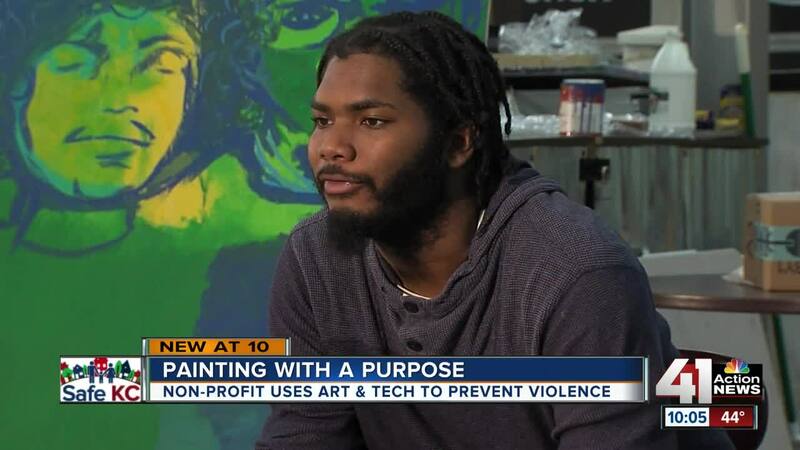 As the name implies, ArtsTech empowers young people through art and technology. The group partners with the city, COMBAT and the Missouri Department of Public Safety. Paseo Academy Graduate Felix Maull, who first came to ArtsTech when he was 14, is one of the program's success stories. "I think literally when I began art, the first thing I wanted to do was draw a face," Maull said while sitting in front of one of his creations. Faces figure prominently in his work, as do the vivid hues of a sunset. The eyes are often larger than life. "This is me making eyes the way that I think they should look versus how they are," Maull explained. When Maull started at ArtsTech, he was enrolled in the digital literacy program, where he learned about repairing computers. After mastering the technology side of things, Maull drifted to the arts. "His mother and I, we had a plan. He didn't know about it," ArtsTech Executive Director David Sullivan said with a smile. That plan eventually led Maull to enroll at the Kansas City Art Institute, where he's a scholarship senior studying filmmaking. For every success story like his, there are tragedies in the ArtsTech family. "I've buried...I've been to too many kids' funerals," said Sullivan. The most recent loss is Anjanique Wright, who was shot and killed outside Central Academy on Monday night . Sullivan said just two weeks ago, Wright applied for a program at ArtsTech. She was also part of their suspension school. Wright's death inspires Sullivan to work even harder. "We better do something about it, because it's not going to stop unless we get more involved or we reach out or try to do more," he said. That's what Maull is doing as well. He still works with kids at ArtsTech, including those referred to the program through family court. "I want to do all I can to help, because there are so many people from my graduating class that aren't with us right now," Maull said. The hope is that young people will see themselves in him. "I feel I can be an example to an extent as to another option," he added. You can learn more about all the programs ArtsTech offers and how you can help here .